"Why were human beings created?" goes a traditional Jewish saying. "Because God loves stories." Storytelling has been part of Jewish religion and custom from earliest times and it remains a defining aspect of Jewish life. 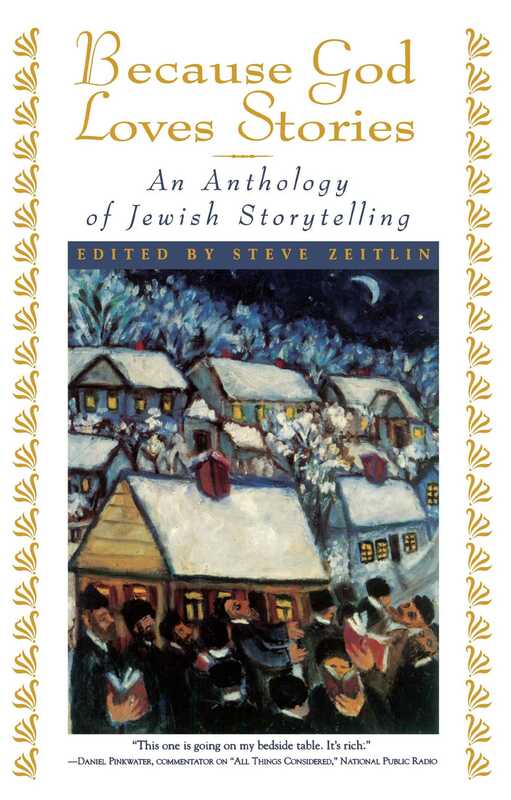 In Because God Loves Stories, folklorist Steve Zeitlin assembles the work of thirty-six Jewish storytellers, each of whom spins tales that express his or her own distinctive visions of Jewish culture. Contemporary storytellers re-interpret stories from the Talmud for modern sensibilities, the Grand Rabbi of Bluzhov tells tales of the Holocaust, beloved comedian Sam Levenson regales readers with hilarious vignettes of Jewish life in America, and much more. Leonard Nimoy In Because god Loves Stories, I recognize actors I performed with on the Jewish stages, the parents and people I grew up with, and a few of the shlemiels I've come across...I don't know how I ever did without it. Jimmy Neil Smith Founder and Executive Director of the National Storytelling Association A Superb contribution to Jewish folklore. From stories that re-create the lost world of the Easter European Jewish shtetl to a selection of Ladino-inflected pieces from Sephardic Jews, Because God Loves Stories brings to vivid life the role of storytelling both as entertainment and as a way of re-invigorating a precious tradition.